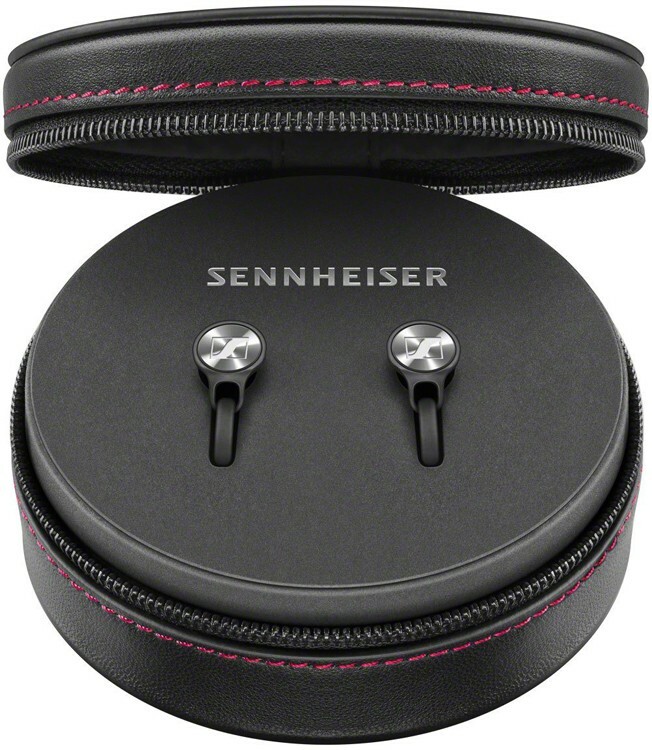 Sennheiser's most compact bluetooth in-ear headphones with built in microphone, 6 hours of battery life and a high-quality leather case. 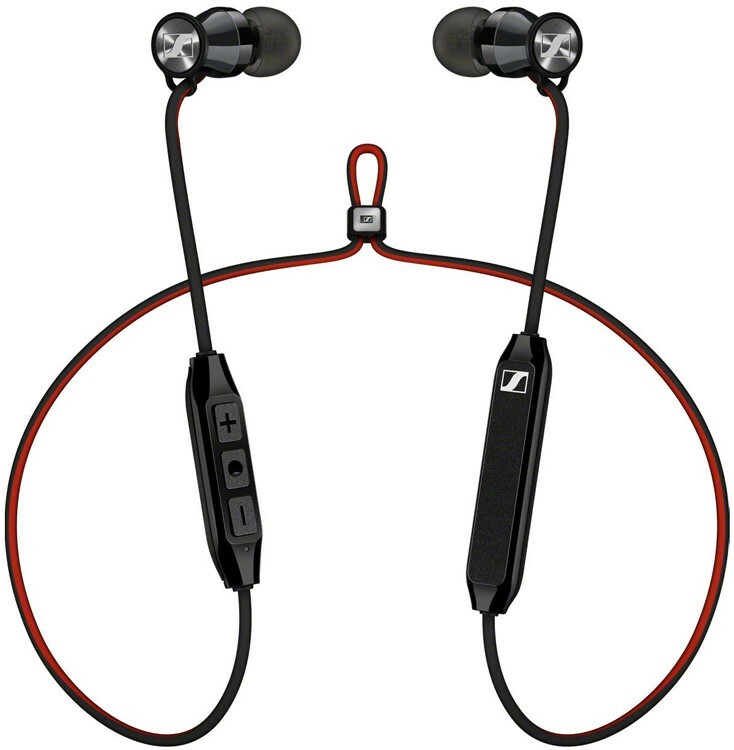 Sennheiser Momentum Free Bluetooth Earphones packs style and substance into a highly portable design. Equipped with Bluetooth 4.2 and Qualcomm aptX, wireless hi-fi sound is flawlessly delivered while the premium grade ergonomic design ensures an outstanding all-day listening experience. These earphones feature an integrated microphone, an amazing six-hours of battery life, and with a premium leather case, makes these headphones perfect for a modern mobile lifestyle. The rule of thumb is that the smaller the headphones, the more meticulously the build has to be. 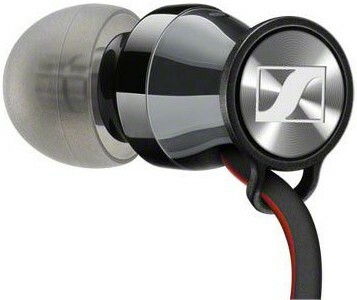 These earphones have been carefully constructed from custom machined stainless steel in-ear sound tunnels. The build of these earphones have the signature Momentum sound and a highly luxurious leather carrying case, so these are a delight to see, hear and feel. Liberate and enhance your listening experience, with great vocal projection and an amazing soundstage. Defying their compact dimensions, the Momentum Free is packed with Bluetooth 4.2, AAC codec and Qualcomm apt-X support. Together these technologies ensure you recieve crystal clear wireless transmission in true hi-fi quality. Plus, Bluetooth Apt-X Low Latency allows you enjoy your videos more by keeping audio perfectly in sync with the visuals. The Momentum Free have all the features you would expect from premium headphones, plus they easily connect to your smartphone. These earphones have a very useful remote control (3-button) and a high-quality in-line microphone, so you can easily make calls whilst on the move. For added convenience, they offer the possibility for multi-connection, with up to two devices at once and a 3-way calling functionality. Plus they have an intuitive voice prompting system that notifies the user about the battery status or pairing. Once you listen to the Momentum Free earphones, you will find it difficult to stop. 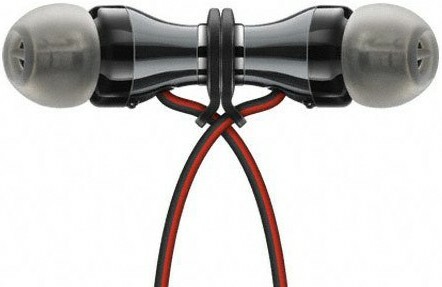 These earphones allow for long duration listening because of the supreme comfort given by the included ear adapters, which are in four different sizes. The ear adaptors ensure a snug fit, but they also effectively block ambient background noise. The battery has a duration six long hours of listening and they are charged with the supplied USB cable. As you would expect from Sennheiser, these are built from high quality premium materials including stainless steel and featuring chrome accents the Momentum Free, and with the uncompromising level of craftsmanship, these earphones are both sturdy and stylish. These are highly well conceived, from the detail its earpieces, which are magnetic so you can elegantly join them together and wear them comfortably around your neck when not in use. When not in use you can store your Momentum Free earphones in the exceptional leather carrying case, that they come supplied with.